حجم هذه المعاينة: 800 × 541 بكسل. الأبعاد الأخرى: 320 × 216 بكسل | 640 × 433 بكسل | 1٬000 × 676 بكسل. 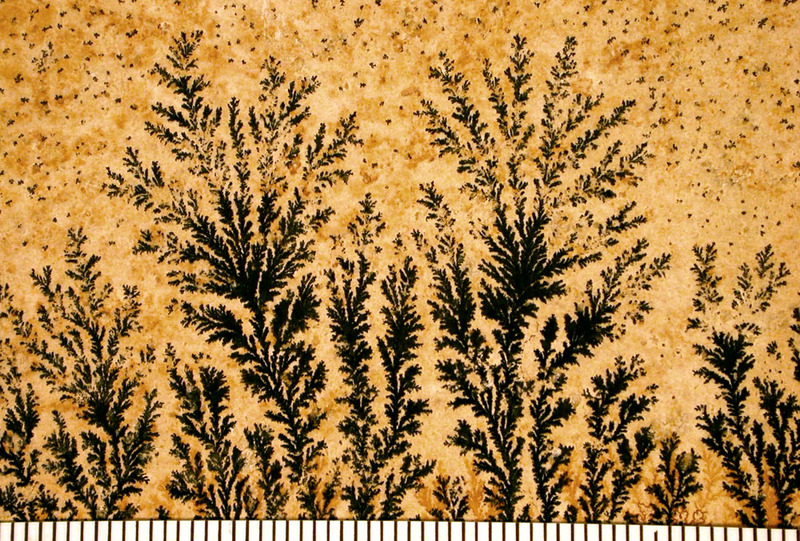 English: Manganese oxide dendrites on a limestone bedding plane from Solnhofen, Germany. Scale in mm. المصدر Photograph taken by Mark A. Wilson (Department of Geology, The College of Wooster).